Is your mouth watering from that picture? I hope so because mine is and I know I have leftovers in the fridge and as I type this I am tempted to sneak in the kitchen and warm more up. I mean it might be close to 10 p.m but its mainly veggies so no big deal, right? I was blessed my a co-worker who brought some huge zucchini's into work to share. 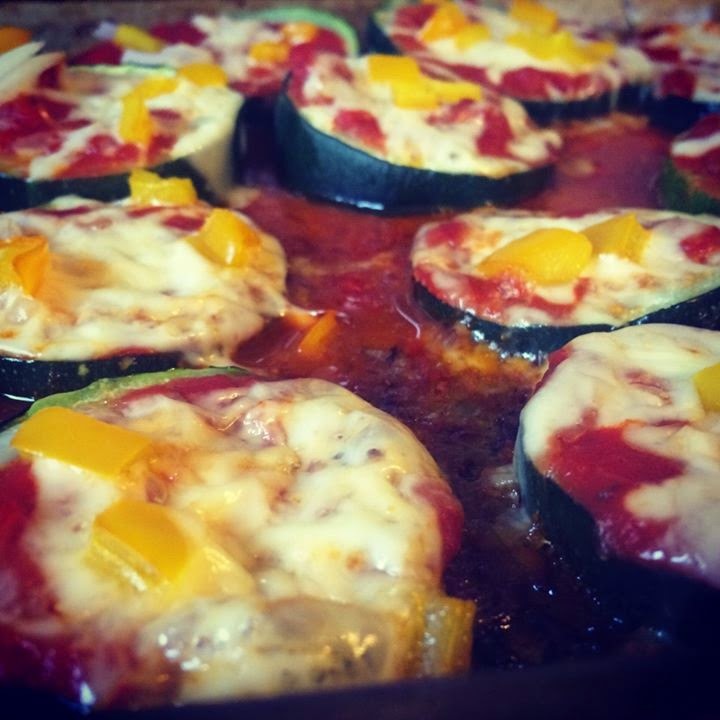 She grew some huge ones and I was excited to try a new recipe after another co-worker said "mini zucchini piazzas!" 5. Bake at 375* for 20-30 minutes. EASY! I would do a few things different after doing it that way. First I would grab some paper towels and try to soak some of the natural zucchini juices since they were very runny, and I would consider grilling them rather then baking. Either way they were still delicious and I plan on making more.